An extruded aluminium profile with a fully rounded quadrant face designed to protect the edges of ceramic tiles or similar hard finishes fitted in wall or floor installations. Aluminium Quadrant Edge trims plays a significant role in protection ceramic tile corner from tearing or collision. In choosing aluminium as a finishing profile the suitability of its installation must be determined if chemical or mechanical stresses are anticipated. 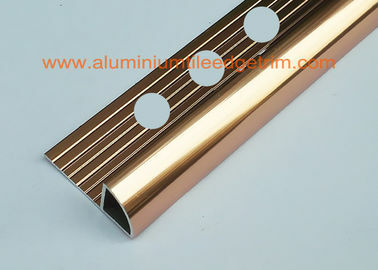 Aluminium quadrant trim are in 6mm, 8mm, 10mm, 12mm and 15mm depths. Brass Effect aluminium quadrant trim 10mm makes room look more glitzy. Besides Bright Brass effect finished, it is available in the following finishes: White, Black, Mill Aluminium,Matt Silver, Matt Brass, Pewter, Bright Silver and Brushed. 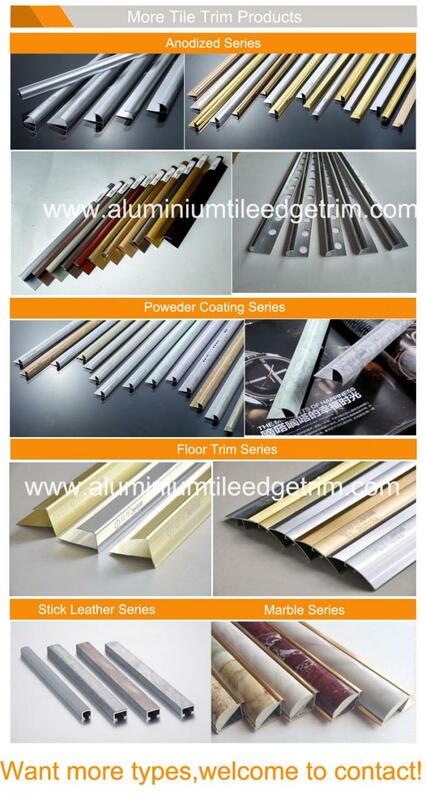 Our Company is a large-scale integrated enterprise specializing in aluminum decoration profile, especially, aluminium tile trim profiles. 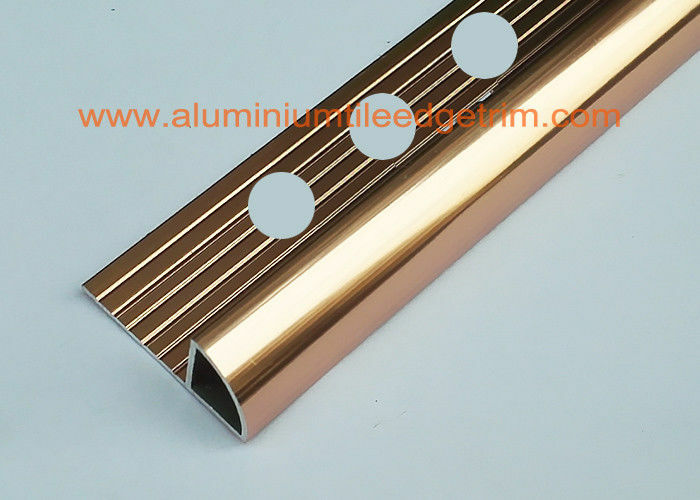 We are professional in mould design, aluminum extrusion and surface treatment processing of anodic oxidation, electrophoresis, powder coating, Fluorocarbon spraying, wooden grain and thermal insulation broken bridge aluminum production. 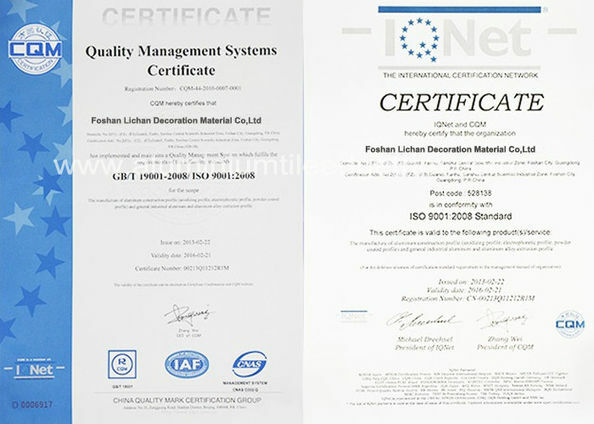 Covering an area of 10,000 square meters of land, after years of development and accumulation, Lichan has become a quite large scale aluminum manufacturer, possessing casting workshops, extrusion workshops, anodizing workshops, electrophoresis workshops, powder coating workshops, 4D wooden grain workshops, packing workshops and mould workshops and a large and powerful technical team: 15 advanced technicians, more than 50 modern management staff, and over 800 operators. 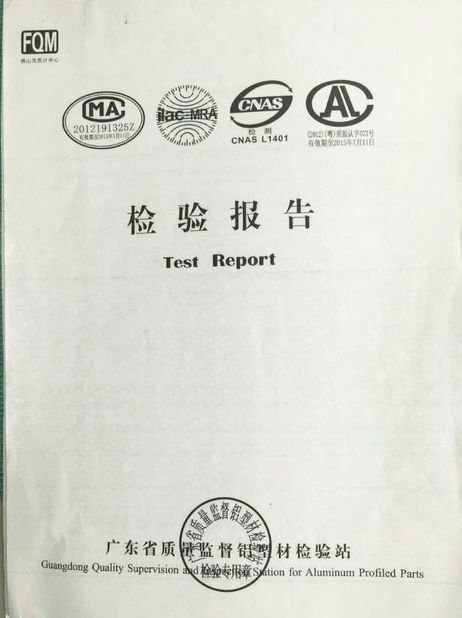 We also have introduced a comprehensive and scientific quality management system, a modern aluminum profiles extrusion production line, advanced inspection machines and inspection methods. The extrusion machines, Silicon machines, ice machines, electrophoresis production line, powder coating production line and wooden grain production line, imported from Taiwan, France, Switzerland, Germany, Japan, Italy, as well as their scientific management mode. This is a strong system to support quality.